Showing results by narrator "Mike Turner"
Want proven strategies to consistently beat the low stakes hyper turbos? Feel you could make a lot more money playing hyper turbos, but don't know where to start? Then this is the book for you! This book should get you on a fast track to poker success! Most poker books are written by professional poker players who play at the highest stakes. Whereas you can learn a lot from studying them, they won't always be as useful to you when you're mainly playing at the low stakes. Playing low stakes games against beginning and recreational players requires a whole different strategy and approach than playing high stakes games against the best of the best. 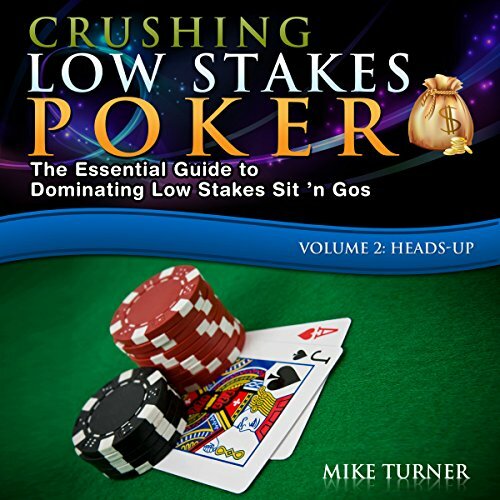 The Crushing Low Stakes Poker series is focused specifically on low stakes play and teaches you the proper strategy to crush low stakes games.